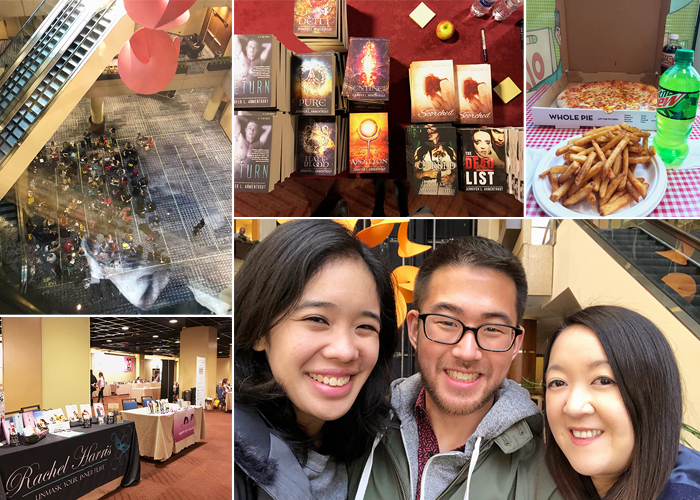 This past weekend's ApollyCon was my first time going since it debuted in 2015 and wow – it's certainly gotten bigger and more awesome. For those of you who don't know, ApollyCon is an annual three day conference featuring Young Adult, New Adult and Romance authors and is 100% sponsored by Jennifer L. Armentrout (aka one of my favorite authors ever). 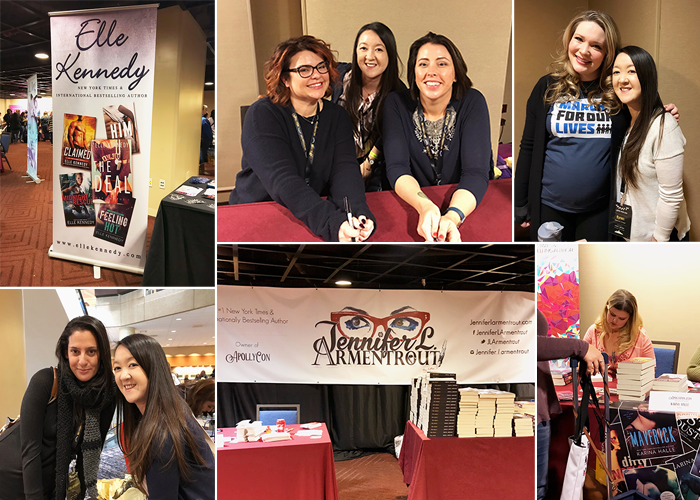 There's signings, panels and all sorts of other fun events that let you hang out with bookish friends and mingle with authors you adore. The first time I went it was mainly to see JLA because I'm such a super fan but in the last two years, I've gotten involved as a designer and did all their badges, banners and much, much more. So when Steph and Hannah (the two lovely ladies who organize this extravaganza) invited me to go this year for free, I couldn't pass up the chance. Especially when my dear friends Alexa and DJ said they wanted to go to, I knew we could make a really fun weekend of it and that's exactly what happened. Very, very early Friday morning I met up with Alexa and DJ at New York Penn Station to take the train to DC. It had been years since I had gone to DC or even ridden on Amtrak but I happen to think it's a lot of fun. One, I don't have to drive. Two, if you get your tickets early enough it's surprisingly cheap. And three, napping, reading and chatting with friends is a great way to pass a 3.5 hour train ride. It honestly felt like we arrived in no time and immediately headed to the hotel/venue for the conference. We grabbed a quick lunch, dropped off our luggage and picked up our badges to get started with the signing. It was so cool to walk around and see everything I had designed in real life. top left photo c/o DJ • look at my badge! Then it was time to meet the authors and get books signed! I got to meet Elle Kennedy (so, so nice; we agreed that The Deal is the best), Christina Lauren (sweethearts! ), Karina Halle (I got a little tongue-tied around her because it's Karina Halle) and Brigid Kemmerer all on the first day. After all the signing madness, we all relaxed for a bit before meeting up with Lizzy from Bloomsbury for dinner at Jaleo. I picked this tapas restaurant solely for the jamón ibérico de bellota (a cured ham that's specific to Spain and that I've been craving ever since) but every dish was delicious. I felt grossly full by the end and it was 100% worth it. Of course, we immediately wanted to go back to the room and crash, which is exactly what we did. 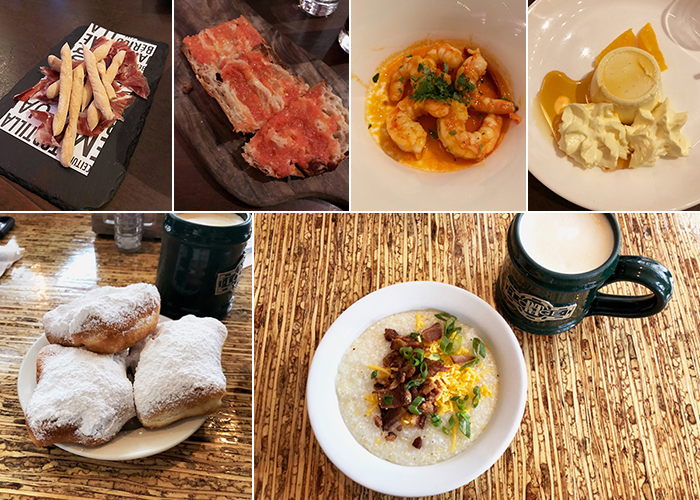 The next morning, we woke up bright and early to get breakfast at Bayou Bakery. If you are ever in the area, I can't recommend this place enough. It has a really cozy setting and the food was A+. We got beignets (! ), grits with cheese and bacon (!!) and cafes au lait. Then it was back to ApollyCon for Day 2. Our badges let us bypass the long lines (thank goodness!) and we got to see JLA, Cora Carmack (I told her how excited I am for the next book in Stormheart) and Sarah J. Maas. All three were super nice and as always, Sarah continues to be one of the kindest authors I've ever encountered. I just adore her. Once we got our books signed and shopped at Book Beau, we decided it was time to do a little bit of sightseeing. Our best Apollycon photo was taken in the well-lit lobby. Note to all coordinators: why is the lighting at bookish events always so bad?! 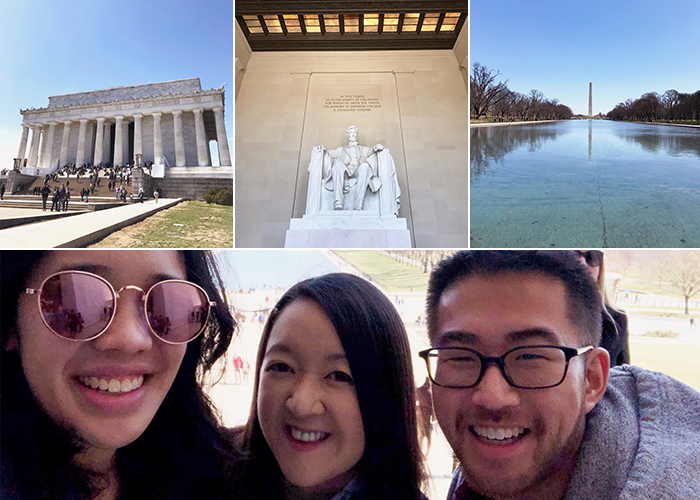 We decided to go to the Lincoln Memorial and Reflecting Pool. It was sunny and not overly crowded so it was the perfect thing to visit. It actually made me wish we had another day to just sightsee! Even though I've seen these monuments before, it looked especially beautiful this past weekend. Or maybe it's because I'm older (and into photography) so I appreciate it more. DJ takes the best photos! I really like my hair in this one, lol. Afterwards we got lunch, grabbed our things and headed to Union Station to go back home. The two days went by so quickly and I 100% attribute that to all the fun I was having with Alexa and DJ. I'm already looking forward to going to ApollyCon again next year with these two! 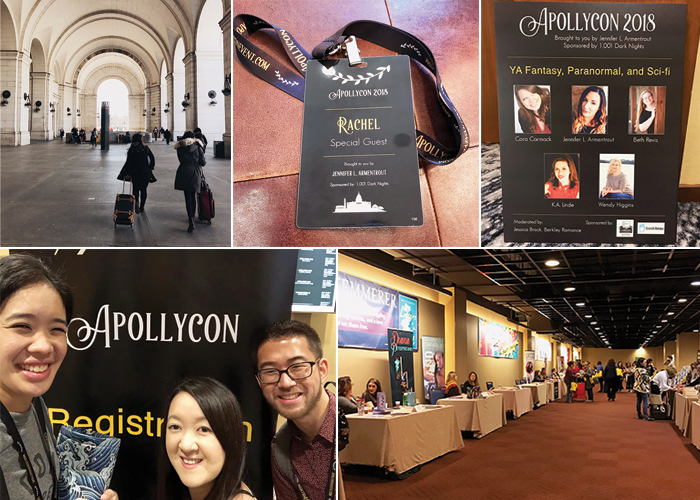 Were you at Apollycon this year? I hope you had just as much fun as I did!